Samsung Galaxy Ace need advance recovery option to get better result from your rooted phone. 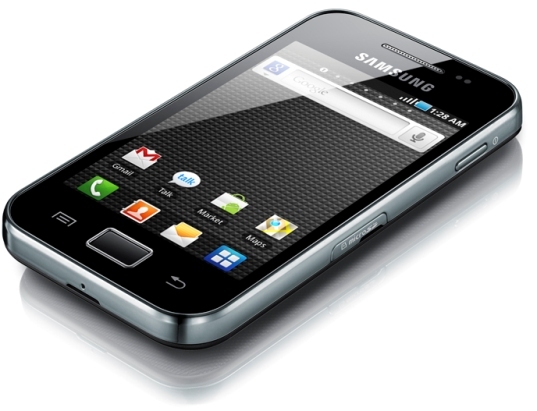 This tutorial help you to install ClockWorkMod Recovery on Samsung Galaxy Ace. The ClockWorkMod recovery mode is different from the Normal reovery Mode .It provides very different options that normal recovery doesn’t have .You can install cyanogenmod through this and also able to install custom roms.you can almost recover your phone through CWM .I would recommend this for You. Clockworkrecovery file that You can download Here. Once you downloaded the CWM file ,copy the file to your sd card. To Enter in normal recovery Press Middle key + Power key. After Getting the recovery mode you will options like reboot ,factory reset But Don’t do anything. In the recovery mode the touch screen will not work to scroll up and down you have to use Volume UP/Down Keys and Middle key to select an Option. Now scroll down to “Apply Update From Sd card” & select the file that we copied earlier. The installation Takes few seconds ,After it completes Reboot Your phone. Still Have problems Then watch the video Tutorial ! I am techy person who likes to creat youtube videos,posting on blogs,websites and share them with people who loves the technology .Your are free to join me just subscribe my youtube channel and blog That's it .